Our conference venue is situated in what used to be the old wine cellar – now converted into a modern boardroom with the old charm of a wine cellar (available from April 2018). It has a patio that is perfect for break-away meetings. We can accommodate smaller groups from 2 to 10 delegates. Delegates wishing to end the day with wine tasting can also be accommodated by prior arrangement. We provide the perfect venue for strategic planning, team-building, workshops, product launches and year-end functions. Both half day and full day include a flipchart, whiteboard and TV/projector screen, still water and mint sweets on the tables. For lunch, delegates will have a choice of either a starter and a main course or a main course and a dessert. We charge an extra fee for Halal and Kosher, as we have to order it in. 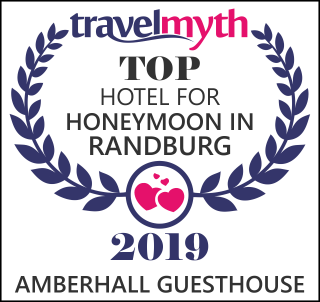 Amberhall Guesthouse caters for the business traveller, individual travellers, families and small groups. The name Amberhall Guesthouse is inspired by the alley of Liquid Amber trees marking the entrance to our homestead. 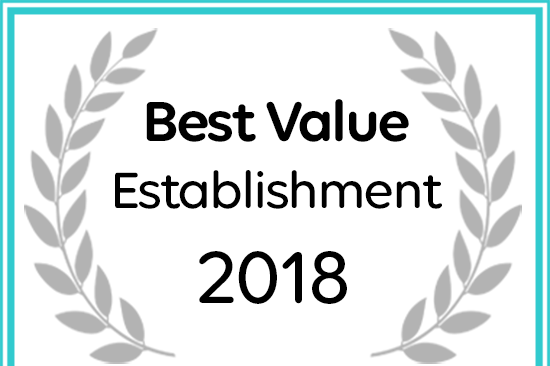 For accommodation in North Riding Amberhall Guesthouse has won a 2018 Best Value Award.